Earth Knack interns are always in for big adventure and great learning! Jon and Elga canning pickles. Kurt learning bow-drill fire making. Cast iron cooking over the fire. Vesper learns straw bale construction. Raisa becomes a wood-chopper extraordinaire! This is an outdoor living experience. Interns live on the land at the Crestone school site. You can set up your own tent or construct a primitive shelter or teepee along Cottonwood Creek for the duration of your stay. There is a fully equipped outdoor kitchen containing all cooking gear, utensils, dishes, oils, spices, and teas. Participants are responsible for their own breakfast and lunch food. Dinner food is provided: a shared communal preparation each evening around the campfire. We have composting “soilets” and an outdoor solar shower house available. Earth Knack interns stay for at least a month. The Earth Knack lifestyle is a simple one, but it takes a while to get the hang of. Staying onsite for just a week or two doesn’t allow the kind of immersion we desire for all our interns. Therefore, we require that interns plan to live at Earth Knack for at least a month. Interns pay a monthly rate of $465 to stay and learn on the Earth Knack site from June through August. This includes instruction six days per week (Sundays are free days), campsite, solar shower, outdoor kitchen, dinner each night, and attending Earth Knack courses tuition-free. Work and play hard every day. Interns participate in all the skills and chores that happen on a daily basis. 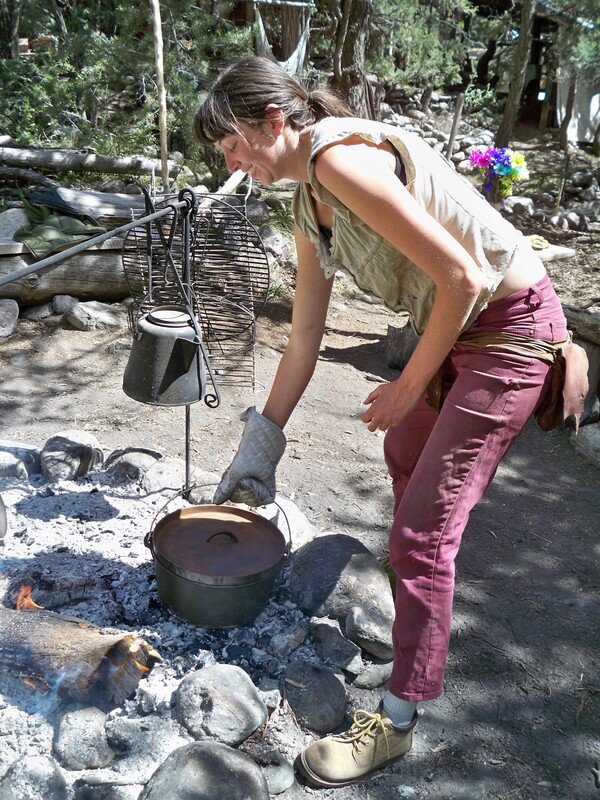 On any given day interns could be involved in one or more activities such as hide tanning; making primitive tanning tools; rawhide preparation; wool dying; felting, spinning or weaving; plant fiber or willow collection and preparation; stone tool work; blade hafting; basic blacksmithing; soap making; candle making; plant medicines; food preparation: dehydration, smoking, or canning; animal butchering; bone tool making; buckskin sewing; earth pigment collection and paint making; plant dye preparation; fire tool collection; alternative building projects using straw bale, natural adobe, solar, log, and grey water methods; primitive structure projects; stone wall work; sustainable gardening; beekeeping; corral building; and animal husbandry. These are all things that make up the Earth Knack lifestyle and provide educational opportunities for interns. Daily chores include garden and fruit tree maintenance, planting and harvesting, animal care, compost maintenance, shop and facility clean up, horno and fire pit cooking, and general maintenance. We like to think participation in these daily chores is educational and fun for interns! Interns are expected to be motivated, know how to take initiative, see what needs doing, and get it done. You must also be healthy and hearty, with enough emotional and physical strength to manage the outdoor living conditions and the manual labor work of pioneer style living and primitive skills activities. 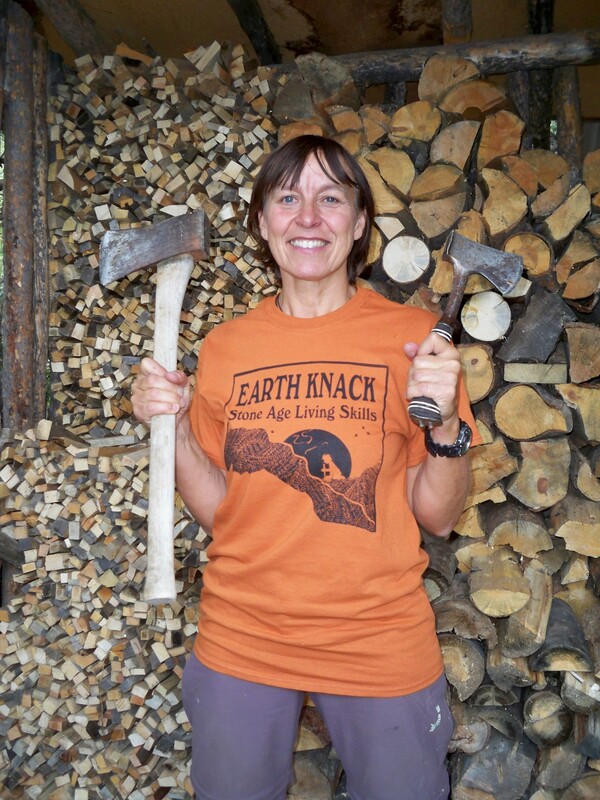 Take and help teach Earth Knack courses. 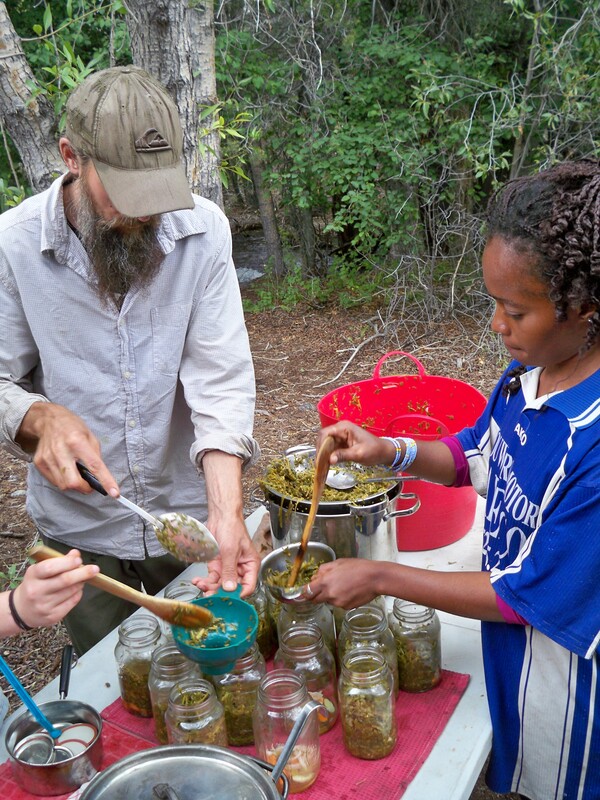 When an Earth Knack course is in session at the school site (like a buckskin class or wild plant class), interns can choose to attend the course tuition free except for the materials cost. We hope interns will help with preparations for courses and perhaps even assist in teaching! Any off-site courses or canoe trips in which interns choose to participate (like the Green River Canoe Trip or International Learning Adventure) will require a full tuition payment. Interns need positive and accepting attitudes. Earth Knack is open to the public and while you are associated with our school you are perceived as a representative of our program. Your personal appearance and behavior are important. Live in a beautiful, relatively remote area. 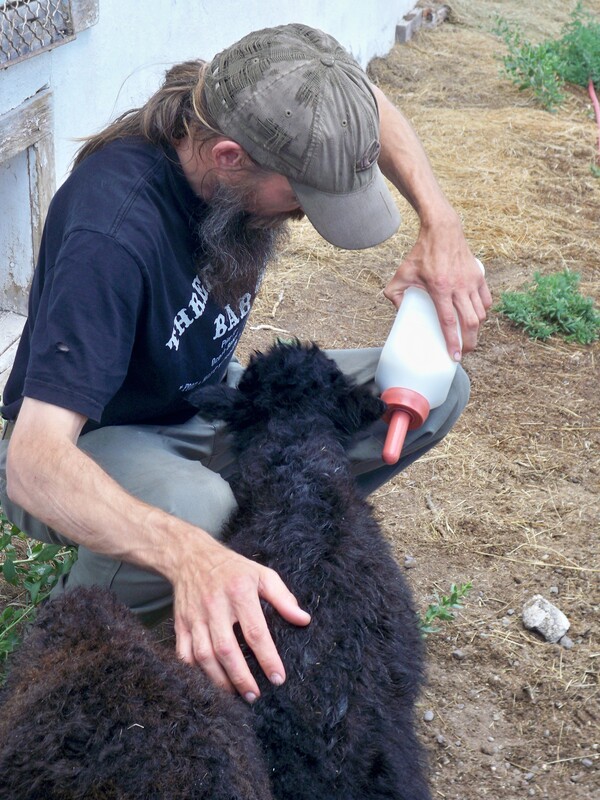 Earth Knack is about 8 miles from the town of Crestone, which, along with the surrounding community, has a population of about 1,000. Crestone has basic essential services like small grocery, post office, and laundromat, and is 6o-plus miles from any other town with more services. Personal transportation is helpful. You can hike onto public land and into the Sangre De Cristo Wilderness 1/2 mile from the school site, or into the Sand Dunes National Park. There are 3 natural hot springs areas within a 45-minute drive and the Penitente Canyon climbing and mountain biking area is 1 hour across the valley. There are numerous whitewater rivers within an hour’s drive and dozens of 14,000-foot mountains to climb. Drugs, alcohol, cigarettes, and pets are not permitted on the Earth Knack property. WiFi is available for those who bring their own personal device(s). 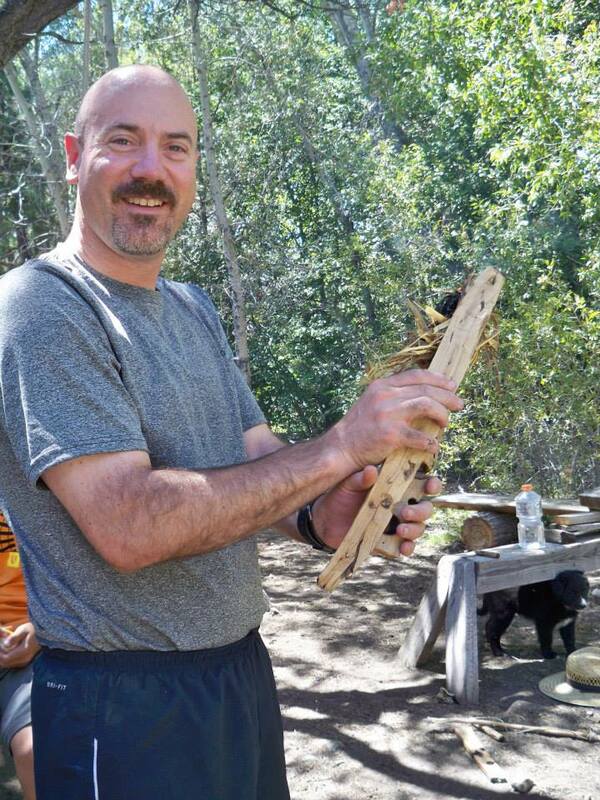 Clark Patton, an Earth Knack instructor, received a semester of credit from Prescott College for his participation in an Earth Knack internship. Many participants use the internship program as an instructor training for other outdoor schools, or a gateway experience into a life of self-sufficiency. Now accepting Internship applications for the summer season.